Dr. Steve Yang is an expert in algorithmic trading who started working with Dr. Alan Hawkes while looking into the 2010 flash crash. It may be hackneyed, but a distinguished finance researcher at Stevens Institute of Technology’s School of Business said that characterization is closer than most people think. Dr. Steve Yang, an assistant professor and director of the doctoral program in Financial Engineering, has partnered with British professor Alan Hawkes — among the world’s most respected thinkers in financial economics, statistics and probability — in creating two special journal issues examining how the Hawkes Processes can be used to solve complicated finance problems. Those Hawkes processes were developed by Dr. Hawkes when he was studying seismology in the 1970s — essentially, how a big earthquake was often followed by smaller ones. His mathematical model governing earthquakes has been applied to everything from biology to law enforcement, but only recently has it gained traction in finance. Dr. Hawkes, now an emeritus professor with Swansea University, visited Stevens for an invited talk about four years ago, at the same time Dr. Yang was researching high frequency trading and its role in in the 2010 flash crash. Dr. Yang discussed his work with Dr. Hawkes during his Stevens visit, at which point they decided to work together in finding ways to apply Hawkes processes to new market activities. Now, some of their collaborative activity has begun to bear fruit. In January, the journal Quantitative Finance published a special issue, led by Dr. Yang, on Hawkes processes in mathematical finance modeling. And before that edition was wrapped up, he was already at work on another special issue, this time in the European Journal of Finance, on practical application of this research. That issue is due out in November. The workshop, to be held this summer, will feature Dr. Hawkes, who will give his thoughts on how this aspect of his mathematical approach can be applied in finance problems in the future, and Dr. Chris Adcock, the editor in chief of the European Journal of Finance and a professor of quantitative finance at SOAS University of London. A real attraction to holding the event at Stevens is the close ties the School of Business maintains to those industry and regulatory professionals. 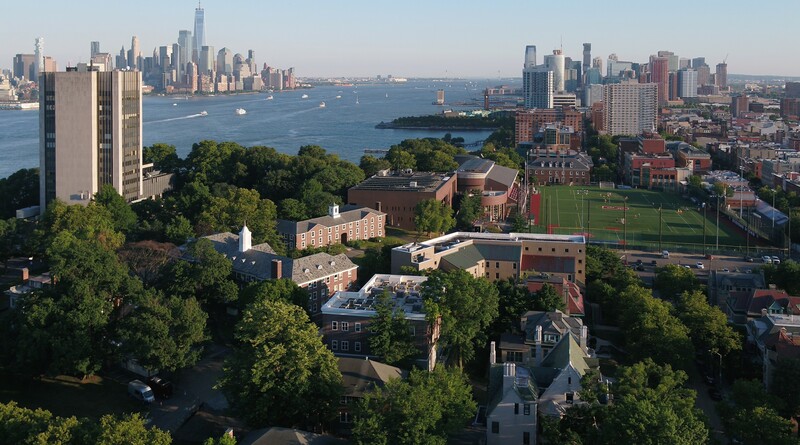 Finance students at both the undergraduate and graduate level enjoy incredible success in securing internships and employment after graduation, and Stevens is home to the high-tech Hanlon Financial Systems Center that allows researchers to conduct innovative research, from stress tests to machine learning.